Do you pass the pronoun test? In the early 1990s, I had the good fortune to work for Robert B. Reich, then the U.S. Secretary of Labor. He taught me a simple (and free) tool for diagnosing the health of an organization. When he visited companies and talked with employees, Reich listened carefully for the pronouns people used. Did employees refer to their companies as “they” or as “we”? “They” suggested at least some amount of disengagement, and perhaps even alienation. “We” suggested the opposite–that employees felt that they were part of something significant and meaningful. If you’re a boss–of a handful of people, an entire organization, or even your local church group–spend a few days listening to the people around you, not only in formal settings like meetings, but also in the hallways and at lunch. Then apply Reich’s pronoun test. Are you a “we” organization or a “they” organization? The difference matters. All of us seek intrinsic motivation. The thing is, “we” can get it–but “they” can’t. I think this is solid advice-.. however it is beginning to annoy me when politicians use the term “we” when they refer to their own- as opposed to some collective action .. “We” is okay when you are say.. referring to the entire House or Rep or Democratic party.. but, for example, in the recent infamous Mass senate race- and after the loosing candidate (Coakley) during and after the race kept talking about what “We” would do if elected and why “we” lost he race.. even as a supporter it totally turns me off – While I think politicians do it to appear humble and deflecting credit –it comes across as not owning your positions, your votes, your mistakes. etc.. just my two cents!! Bring back the accountability in I!! Fantastic post! You’re totally on to something people seem to take for granted. Way to address the ‘purpose’ part of the way motivation occurs. Thanks for the reminder, and I’m looking forward to the IATF seminar tomorrow. I have a somewhat related issue with “I” and “me” in business. When salespeople and customer service people in the distribution company I ran spoke to customers about “what ‘I’ can get for you” or “what ‘I’ can do for you,” I used to shudder. It sounded to me as if this single guy was singlehandedly doing it all, like out of the trunk of his car, without the help of anyone. To me it denigrated the company and everyone who had a hand in it. I used to point out that using “we” showed that there was actually a bunch of us here to serve clients, that there is more substance and depth available to clients through the efforts of a team. Thanks for this post, Dan. I discovered something related as I was researching adults experiences learning improvisation. Early on they tended to be very self-conscious, and reflect on what they “could have done better” after each improvisation. Over time, they shifted from self-consciousness, to consciousness and appreciation of the group. They let go of their self-judgment and reflected on how “we” did. I have seen similar shifts in work teams, and not only does it reflect increased engagement, but a letting go of the egos that can inhibit the free-flow of innovative ideas. If you haven’t read it already, you should check out Tribal Leadership. The authors look at the role of language, as a descriptor of attitudes, within organizations and 5 stages of tribes. The interesting thing I found in the book is that in some situations you may want, may actually need, stage 3 individuals. And in some ways, you can’t really get to stage 4 without “growing” through stage 3. Language is a very important part of every interaction. The words we use can be a catalyst for creating powerful results or total failure. “They” versus “We” is huge. Every time variants of “they” are spoken in a company or on a team we’ll find that usually big problems are currently challenging results/growth or will challenge in the near future. “They” vocabulary tends to be selfish, resentful and political in teams. Cannot have a winning team or company if everyone isn’t ON the same team in how they communicate with each other or ABOUT each other. Leadership must pay close attention to the language used within an organization and work to create positive cultural shifts for unity and collective success. late thought on your Secretary Reich story. 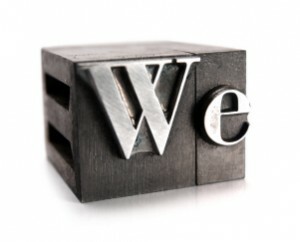 I believe “We” is, more than often, a troubling sign of organizational leadership weakness and resistance. Perhaps not to the degree of the Secretary’s experience, but, for a long time, I’ve had a bird’s eye of multiple organizations and people affirming some reason to change their direction and action. And I’ll be damned if seemingly every time the discussions get to what needs to actually change, most will chime in with what “WE need to …… WE should talk about…..WE must identify action steps…..” and on and on. And then, sure enough, when the story goes on for a few weeks or months, little or nothing has actually changed. It, in essence, became comforting and safe by relying on WE. Can you think of anything inspiring that comes from comfort and safety? I didn’t think so. The most powerful pronoun when identifying and creating momentum toward change is the I that comes after the We. “In order to help do what we need to do, I commit to …..” The leader of that discussion need not challenge and and cajole out a “We” from her audience, she must ask about what each “you” in the room is willing to do. And then sustain that conversation.